Dogs and cats are adorable. They make you feel like home, and in a pet company, specifically dogs and cats, one can never get bored. That reminds us, do you know there is a sale going for dog food by Petco? Who would like to miss a deal with them? Here are the details to it. Petco is a very well-known pet supplier as well as pet food supplier. They have chains of their shops through the USA, though the headquarters is based in San Diego. The pet store is famous for its unique deliverance of pet needs. Petco is offering a PalsRewards coupon giving a $5.00 off any one dry cat food or dry dog food bag from Wellness® CORE®. You can avail the offer by a coupon. To get the coupon, follow this link. 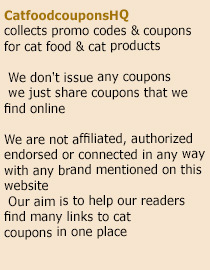 Print the coupon to avail it, though you can also use it online through the code mentioned below the coupon. Take a look here. The coupon offer is for a limited time only and we are sure you don’t want to miss it!